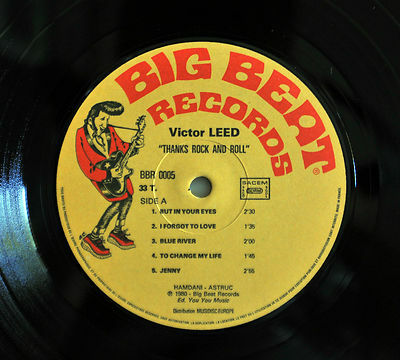 Some very sad news came to my house last week: Victor Leed is dead after a long illness, aged 44. 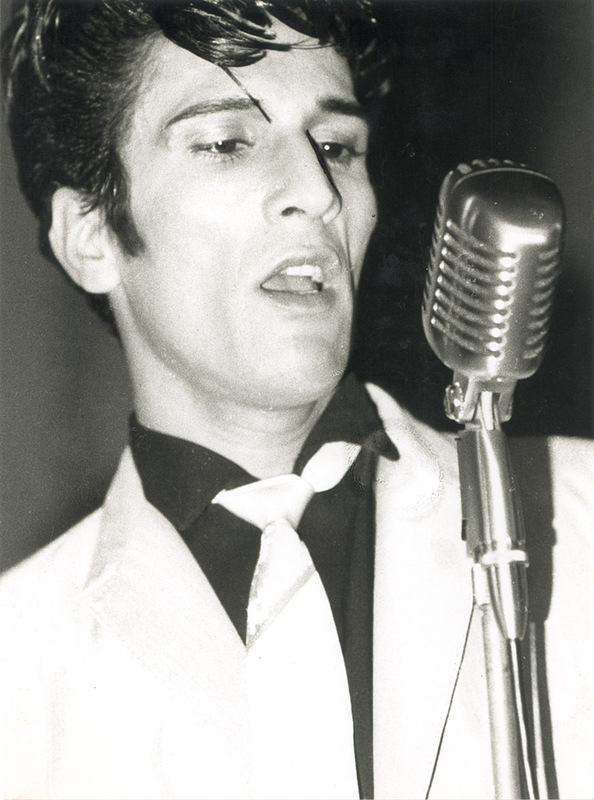 One of the finest voices that had rocked and rolled in France for almost twenty years will never sing again. This sorrowful news made me look back on my memories and I remember that Victor Leed was one of the first cats that I met when I arrived in Paris eighteen years ago. 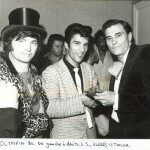 It was in 1976 at the Elvis Presley “Les Amis d’Elvis” Fan Club -still active in France- that I met Victor. “this cat is too Much”! After the show, I met Victor and we decided to start a band together. 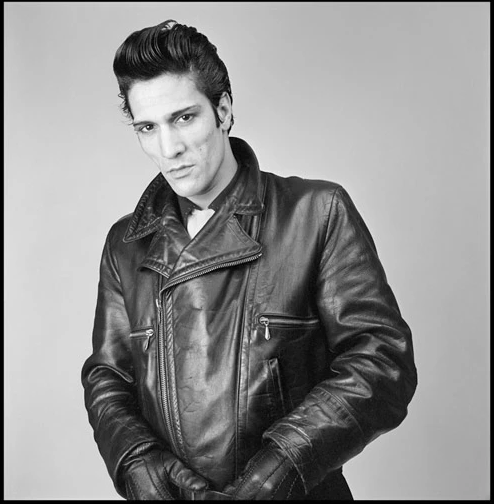 Victor told me about his turbulent youth in the sixties in Paris, with all the Rockers gangs, Discovering Elvis in “King Creole” when he was ten years old! took him and would always be a part of him. 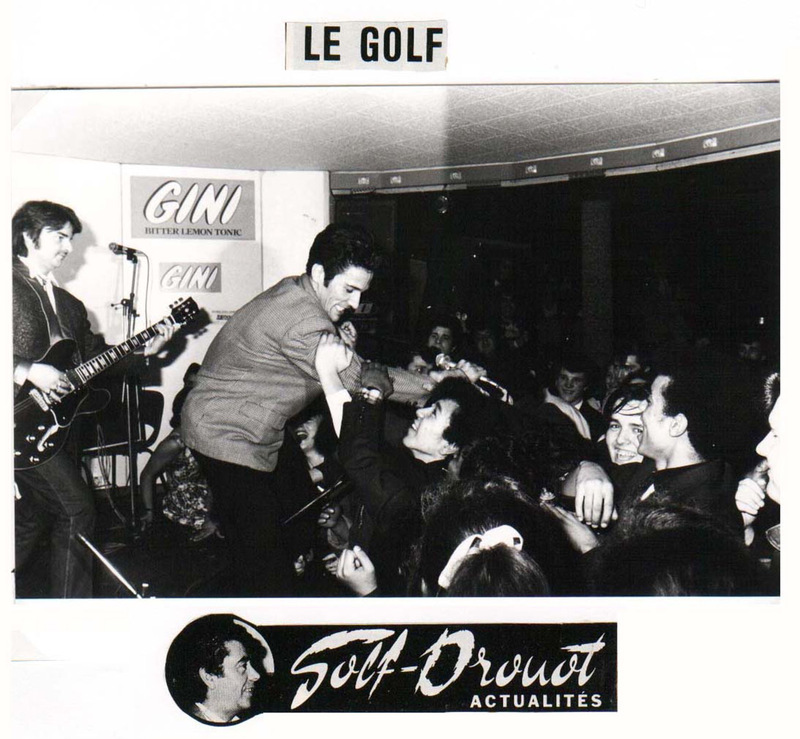 In the France of 1976, it was very hard to find musicians who played rock’n’roll with a good sound and spirit and after a few months of rehearsals and a memorable concert which ended in a large scale fight between Rockers gangs, the band split up. 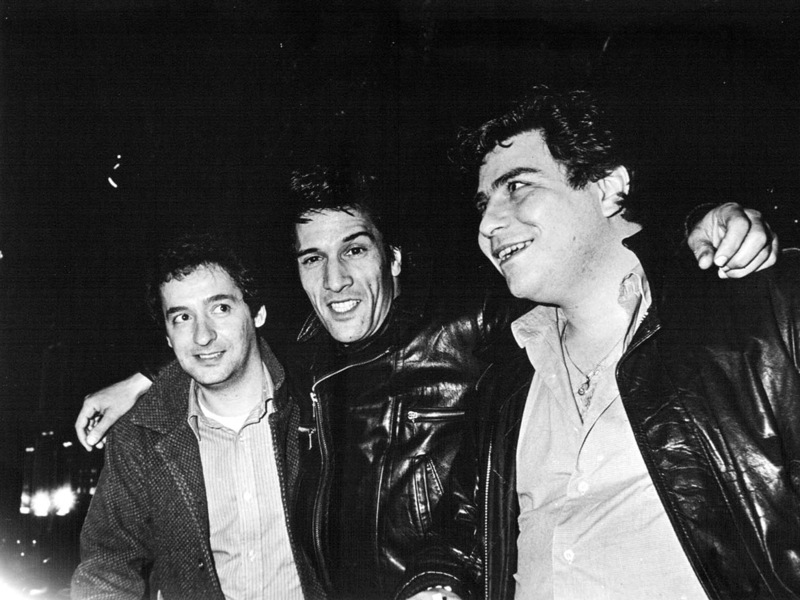 A few months later I started The Rockin’Rebels but I stayed in contact with Victor and continued to see him from time to time. 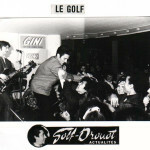 large rock’n’roll following with a lot of new bands first appeared in France. 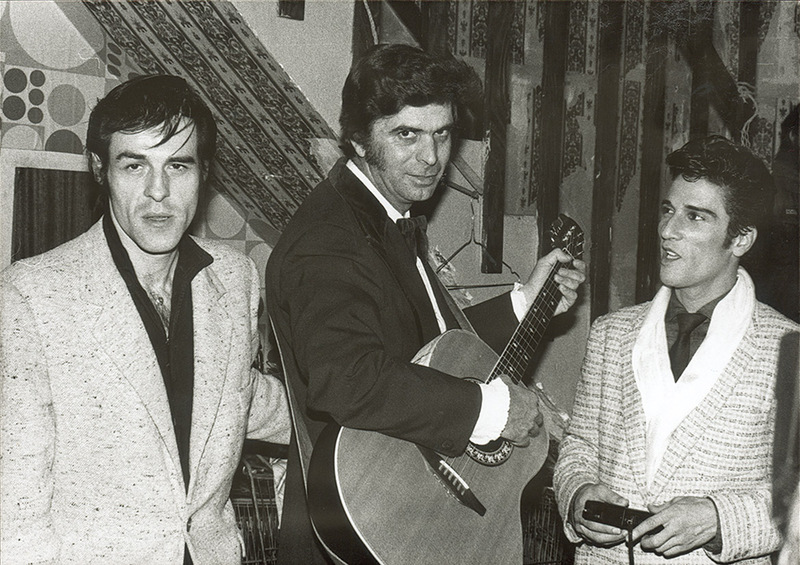 It was at that time that Ding Dong, a famous French collector, met Victor and became his mentor, teaching him how to transform his image and attitude into a true fifties rockin’ cat, playing hundreds of unknown singles for him to appeal to his musical tastes. 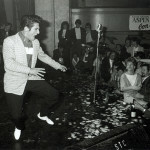 The social fifties thing started in France with street gangs like “TheWild Rockin’ Cats”, “The Del Vikings” and “The Fifties Yanks” etc…and Victor became the first French singer in that style. 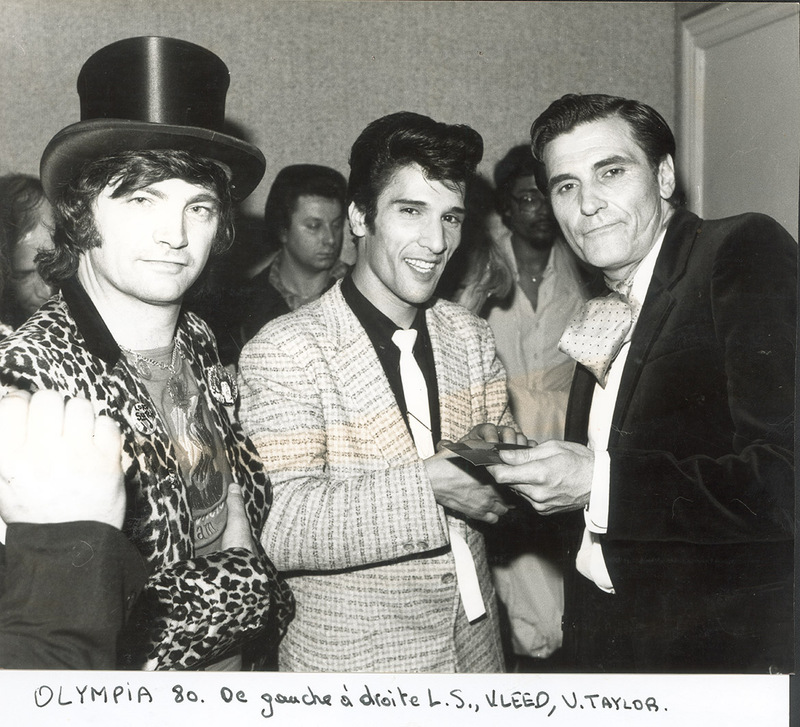 On November 29th 1979, he made a short appearance with Warren Smith and Billy Lee Riley at “Le Palace” in Paris with great success. 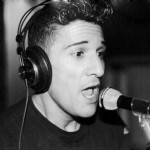 in actual rockabilly. 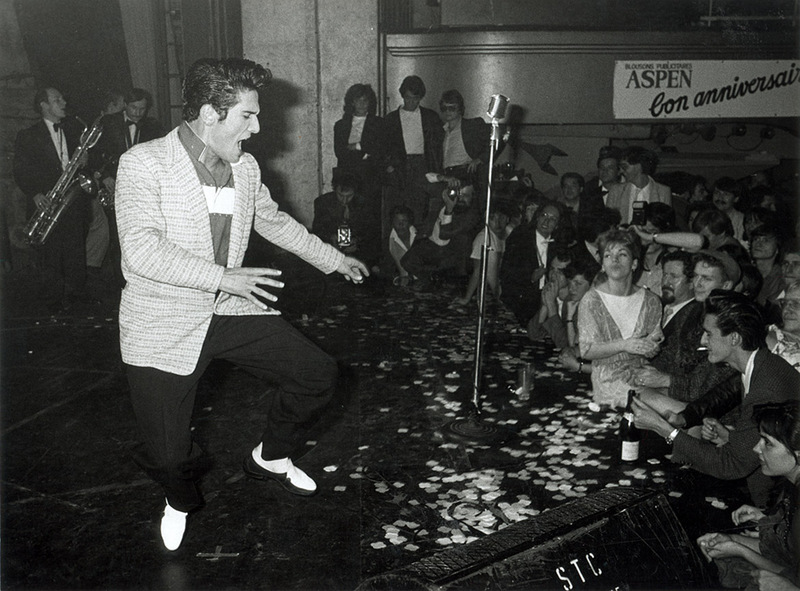 It possessed everything: ten self penned songs in the spirit of Elvis’ Sun sessions. 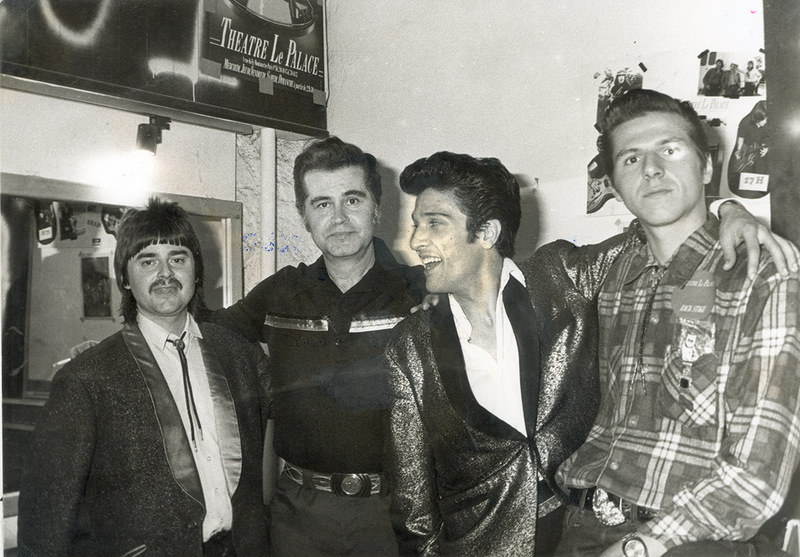 Victor’s voice was clear, strong and beautiful in the young Elvis way but was NOT an imitation and the exceptionally brilliant musical backing with first class musicians like jazzman Freddy Legendre on double bass, super picker Patrick Lozach on lead guitar, Donald Rieubon on drums and Jean-Jacques Astruc on acoustic guitar.It was one of the first times in Europe I think (along with the first Blue Cats records) that you can hear a slappin’ bass on a rockabilly record. 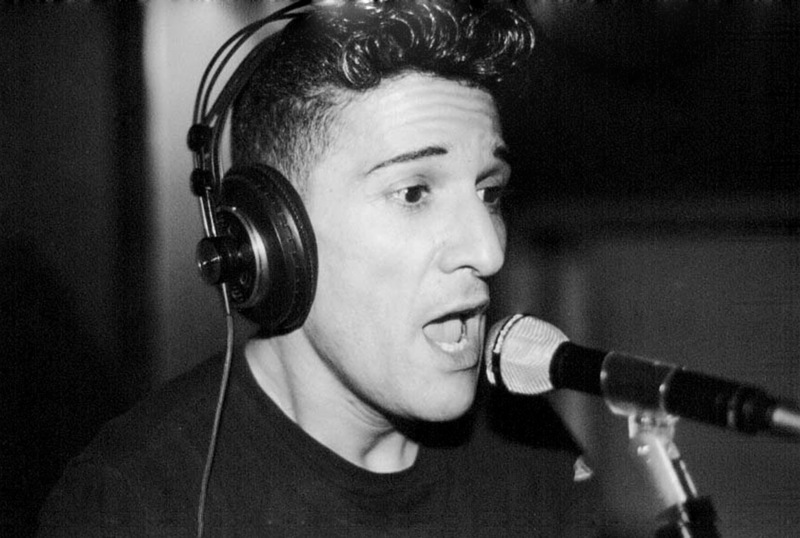 Everything on this records sounds really authentic and when I hear it again after so many years, the magic of songs like “But In Your Eyes”,“She Don’t Care”, “Don’t Be Looking For Trouble” remain fresh and untarnished whilst ballads like “Shy” and “Jenny” are amongst the most beautiful recorded by a post fifties artist. 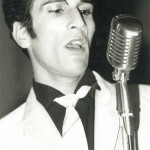 Victor Leed quickly became very popular in France with national TV spots and regularly played on big Radio networks.On May 25th 1980, the first French Rockabilly Festival took place in Toulouse in the south of France with Chris Evans, Jerry Dixie, the Alligators, the Rockin’Rebels, Jezebel Rock, Victor Leed and Vince Taylor in front of an open air audience of thousands of people.I had seen Victor on stage dozens of times but that night for me was his best concert. 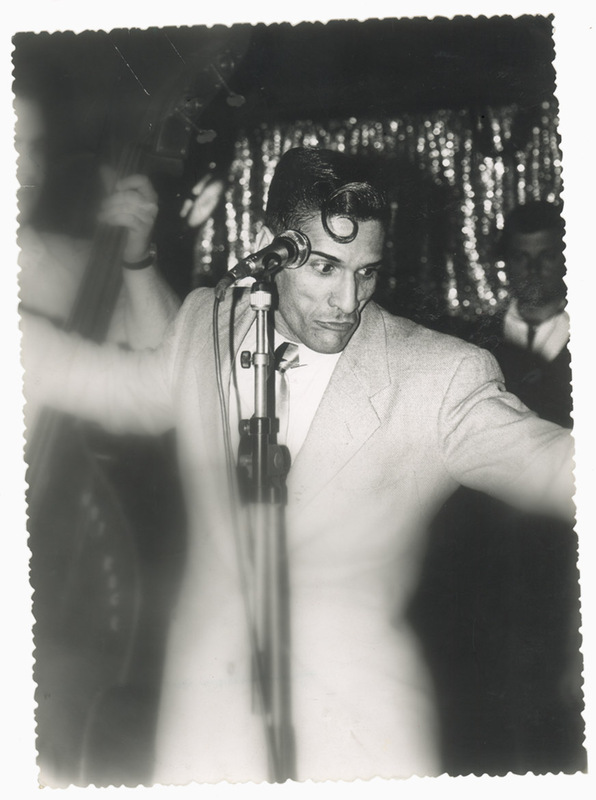 He appeared on stage as the night fell and a kind of magic took the audience as his beautiful voice began to echo through the night sky.He sang the songs of his “Thanks Rock And Roll” LP and, of course all the Elvis Sun sessions, with the only double bass of the whole festival! The sound was exceptionally good and his performance a real “Must”.I will always keep in mind this picture of Victor under the stars of a warm spring night. 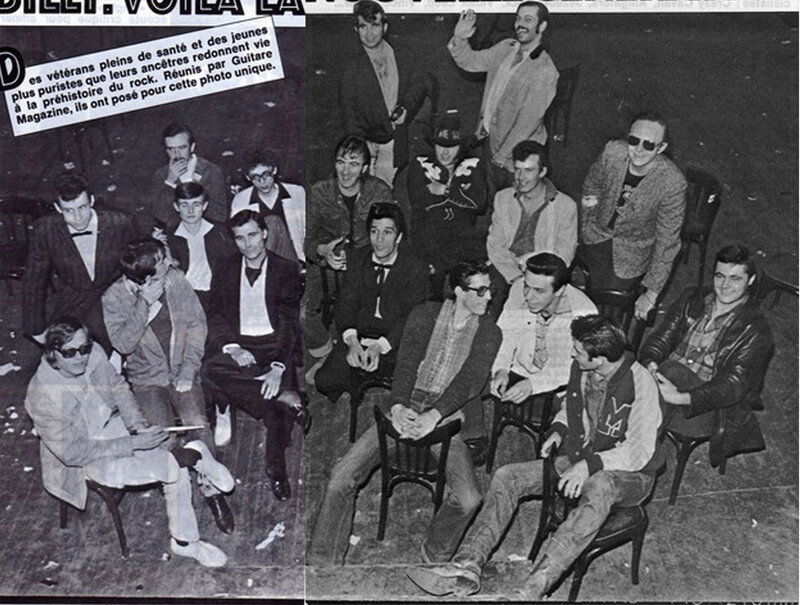 A few days later, the same artists made a show in Paris at the famous “Olympia” theatre. 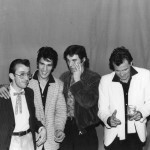 The Memphis Rockabilly Band, amongst others, at the “Porte de Pantin Festival”(Paris). 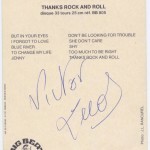 At that time Victor was really one of the “happening” and “current” persons in Paris and made some publicity spots (e.g. 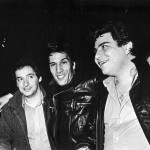 “Perrier” by Jacques Deray) and movie appearances (e.g. 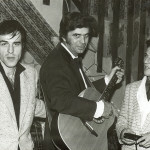 “Une Jeunesse” by Moshe Misraï, with Charles Aznavour and Jacques Dutronc). He sang at all the biggest show business and movie business parties and had photos and chronicles in all the big French magazines.On July 3rd 1982, Victor played at the rockabilly night at the “Olympia” theatre with the Southerners, Teencats and Rockin’Rebels. 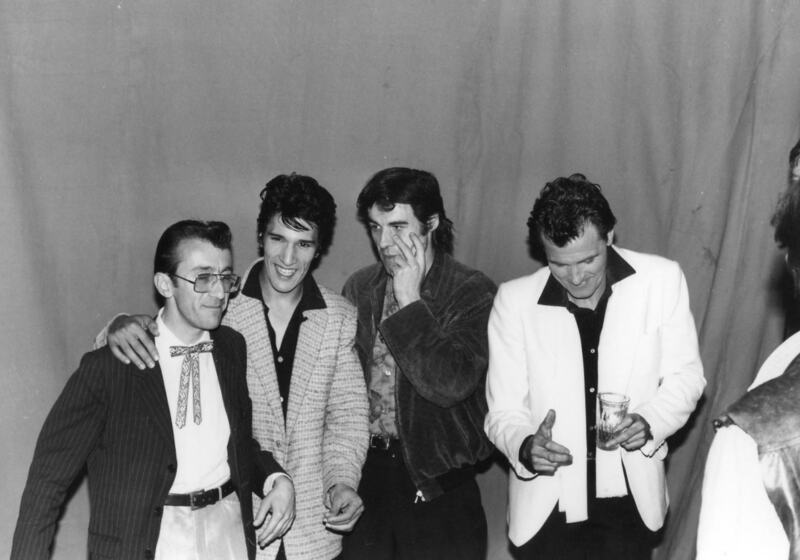 On this occasion, the Rockin’Rebels were Victor’s backing band before doing their own show . 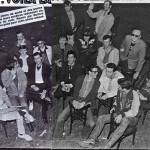 With only four French bands the Olympia was sold out and two thousand people paid a big ovation to the bands.This event shows how popular rockabilly was in France at that time.From time to time, the Rockin’Rebels backed Victor again and it was always a pleasure for me to take the drums behind him, remembering the good old days at the Elvis fan club. 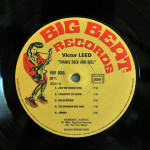 Then, little by little, the rockabilly craze diminished, the bands split one by one, the Big Beat label stopped its activities and in the mid-80s, Victor stopped his music plans- singing only occasionally. 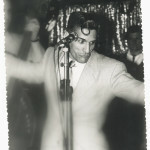 Some personal problems made him leave the rocking scene and when I saw him he told me about projects that were more swing/jazz orientated and in 1988 he made a demo tape of “Hello Baby Mad’moiselle” a French swing standard from the forties with a jazz guitarist in the Django Reinhart style.Sometimes, Victor made short appearances at the forties nights of the “Guinguette” in Champigny where he had jam sessions with the resident bands. 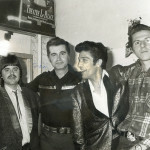 It was on one of these occasions that I last played drums with him after a Tony Marlow Blue Five gig. 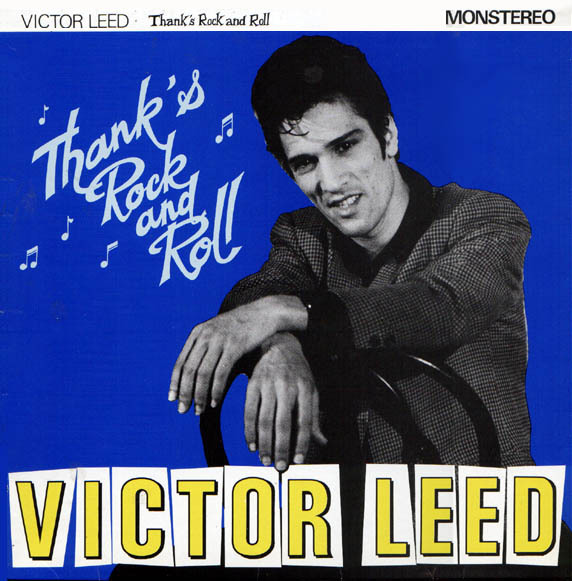 And then came this terrible news that has saddened many people an made me decide to write this tribute.I hope that this article will help to keep the Victor Leed name in mind for many people or maybe will help the younger generations to discover him. 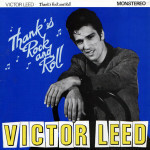 If, by chance you should happen to see his “Thanks Rock and Roll” LP, buy it, you won’t be disappointed !!! 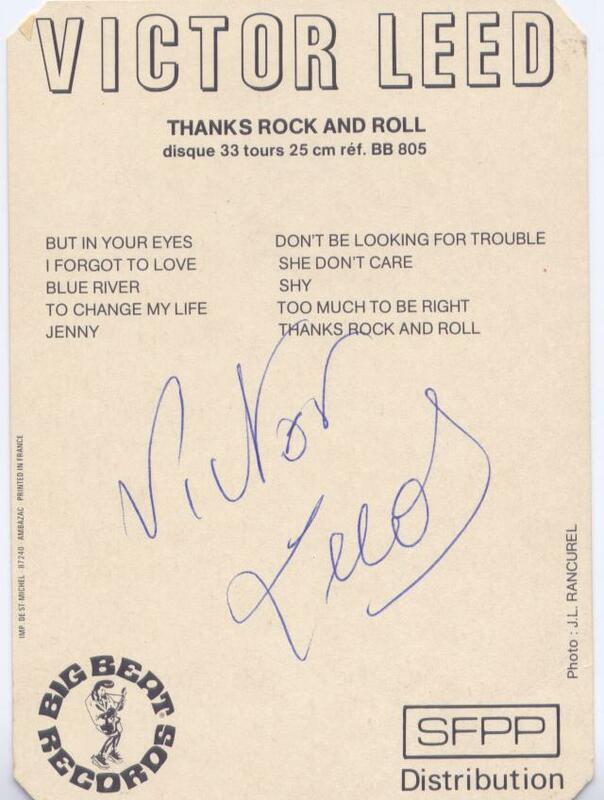 (Big Beat/EMI Pathe Marconi) which was released in 1988 and includes two of Victor’s tracks including “Marie,Marie”.